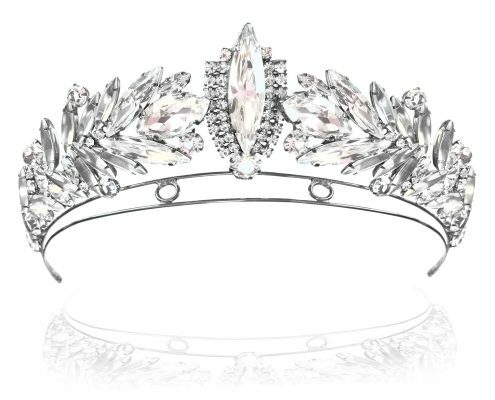 Working with brides is a passion of ours and our jewellery adds an extra boldness to their “dream wedding look.” More of our collection can be found at Kleinfeld at Hudson’s Bay. 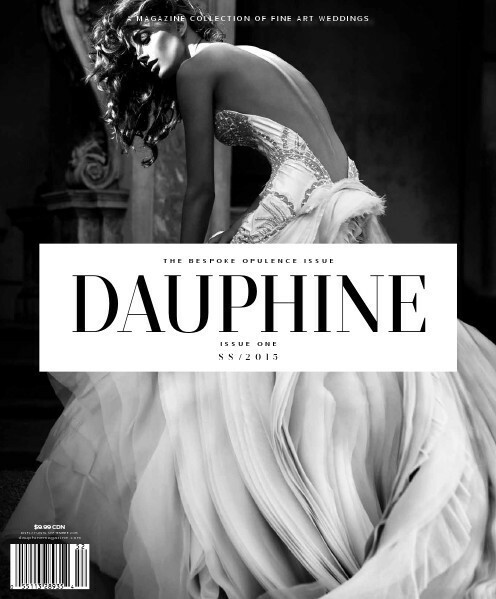 We’re excited to be included in a photo shoot at the Art Gallery of Ontario for the inaugural issue of Dauphine Magazine – A Magazine Collection of Fine Art Weddings. 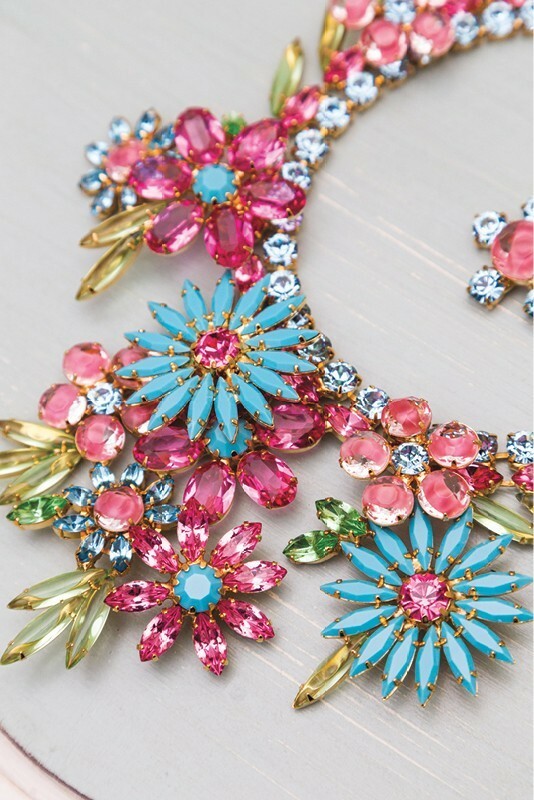 Issue One’s theme, “The Bespoke Opulence Issue,” is definitely part of what Jewels by Alan Anderson’s studio is all about. 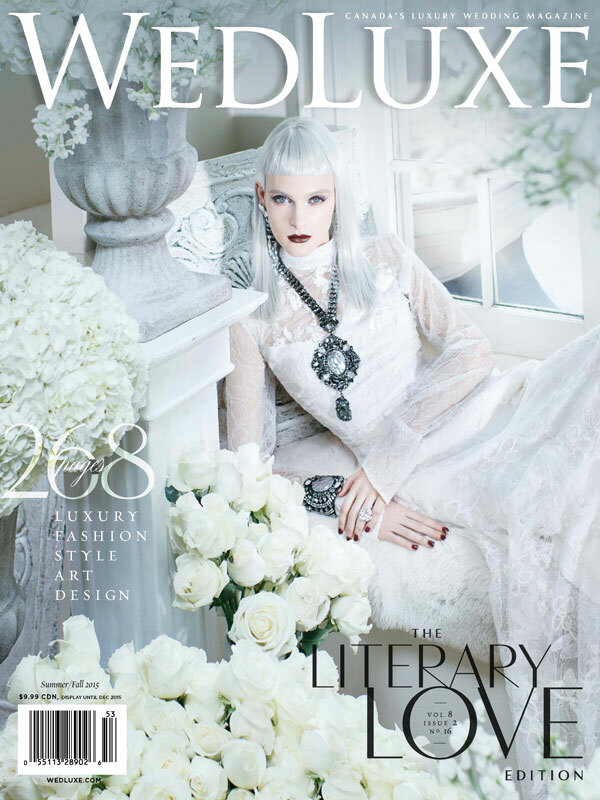 We love seeing one of the variations of our Clear Crystal ‘Lace” Collar included in this stunning Versace-inspired photo spread for this issue of Wedluxe magazine. 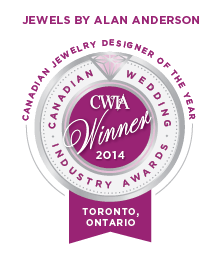 Jewels by Alan Anderson took the national title of ‘Canadian Jewelry Designer of the Year’ at the annual Canadian Wedding Industry Awards held this week. 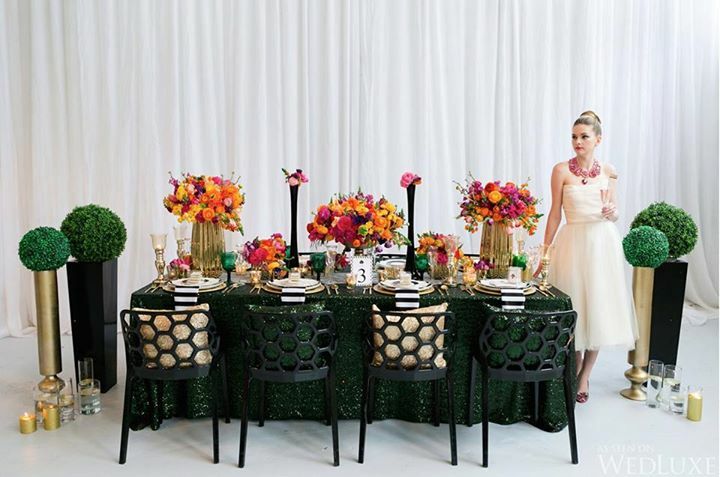 The event, hosted at the Ritz-Carlton Toronto, honoured wedding and event professionals in 16 categories and was attended by the wedding industry’s luminaries in fashion, retail and event planning. 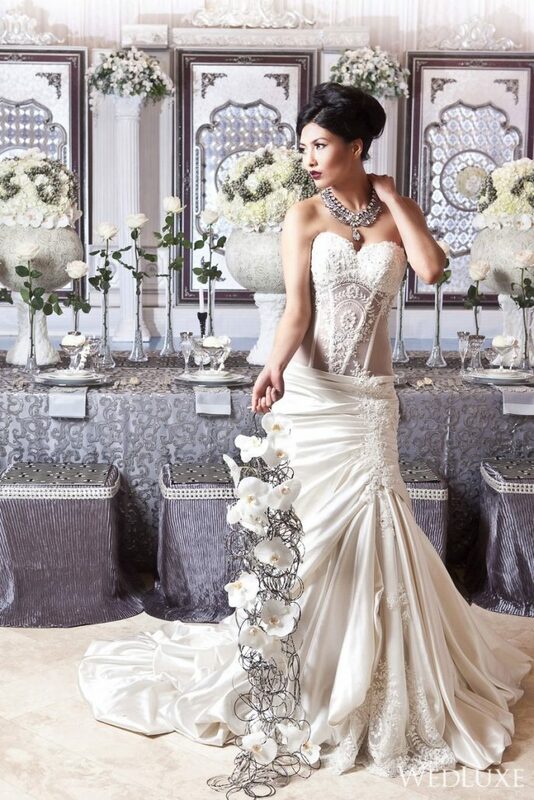 Jewels by Alan Anderson was chosen from a field of fine and costume jewelry designers, receiving the highest score in this category across all regions in Canada, from an esteemed panel of judges that included fashion expert, designer and television personality Randy Fenoli, Francis Guindon of Maison Birks, Rebecca Grinnals of Engaging Concepts, Marcy Blum of Marcy Blum & Associates, Ellen Black of Lehr & Black and Laura Gutkin of Etsy Canada. 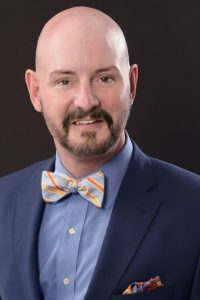 Alan’s signature collars, cuffs, earrings, and sautoires have become a choice for bold bridal parties who want statement jewelry, but the brand received further support in the wedding market this year when it was selected to be part of the distinct collection at Kleinfeld Hudson’s Bay in Toronto. 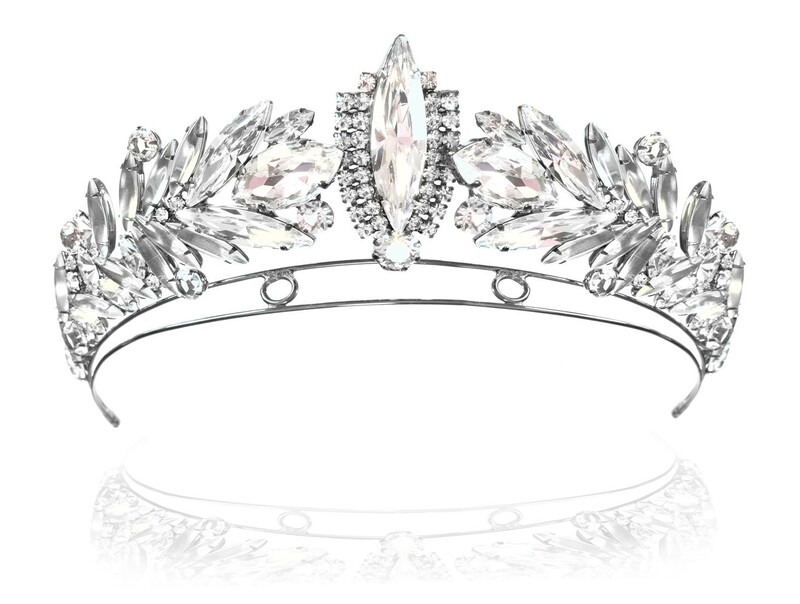 Alan created a bespoke collection of 28 pieces and introduced a grouping of tiaras, all based on historical jewelry. Canadian-designed accessories take a surreal turn in an exclusive photo shoot at FASHION Magazine. 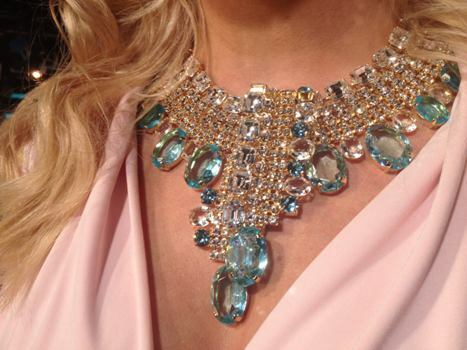 Reminiscent of a 1940’s Veronica Lake, ET Canada Host Cheryl Hickey wears our aquamarine waterfall collar. The collar, made of rare 1930’s aquamarines, is just one of the many pieces Cheryl wore on-air during TIFF 2014. We love working with Cheryl and her fabulous stylist, Maggie Bill. 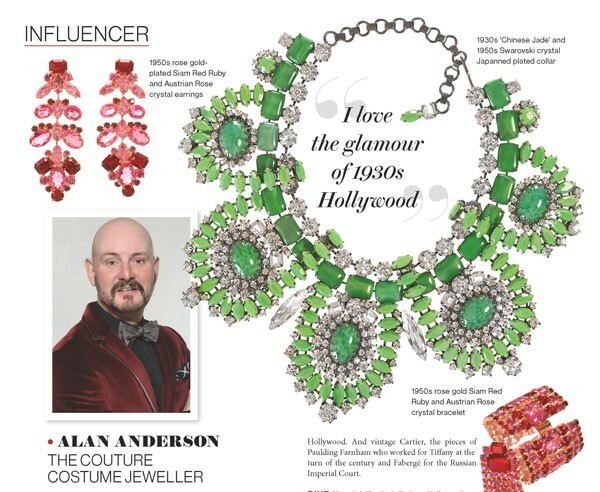 WedLuxe recently interviewed Alan Anderson and the interview has just been published online.